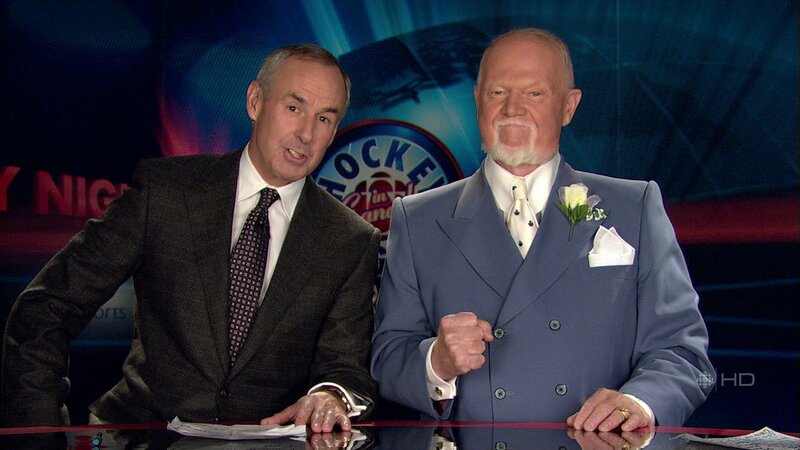 This year, even though Halloween falls on Hockey Night in Canada—or is it the other way around?—the Coach’s Corner crowd choose to keep things relatively low-key (for them), with sober topics like head shots and H1N1 overriding their usual bad fashion choices of this time of year. Instead, we have the normal, run-of-the-mill bad fashion choices. We’ve seen this suit before, and it doesn’t look like Don has taken the intervening year to fix the awful tailoring on the fold and buttons. 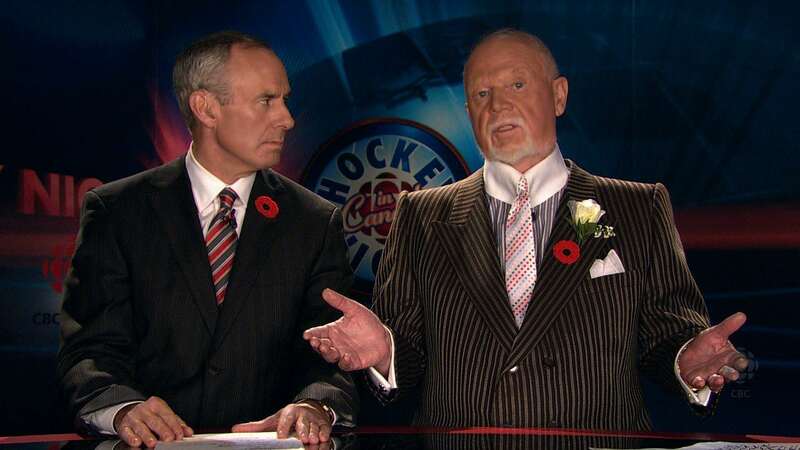 The mismatch between the tie and the shirt and jacket, however, is particularly jarring tonight. 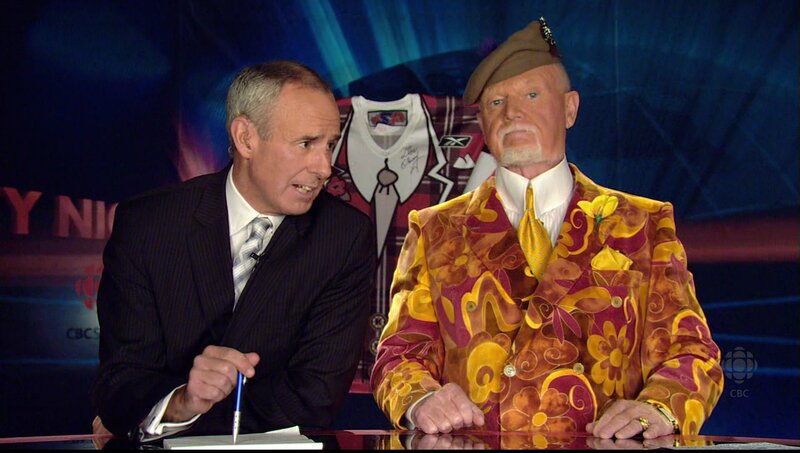 Is Don Cherry a code name? 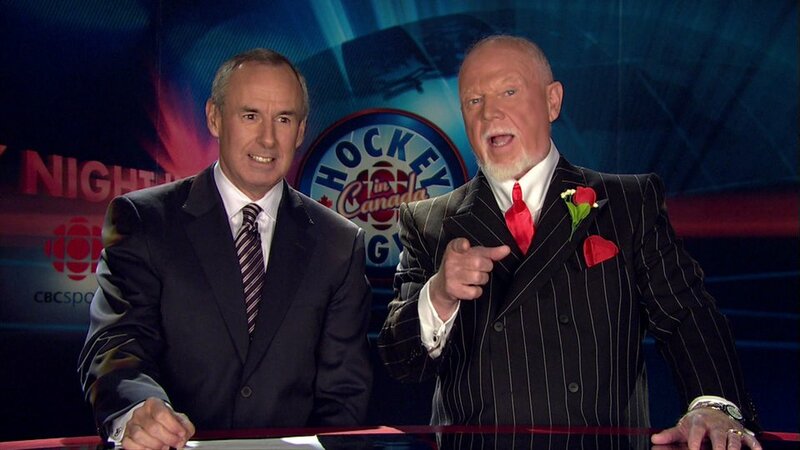 One of my friends couldn’t believe that “Don Cherry” was this man’s real name and not, say, his Mafia code name. At the time I laughed, but now I have to say, after having beheld tonight’s suit, I have to question my dismissal of this proposition. 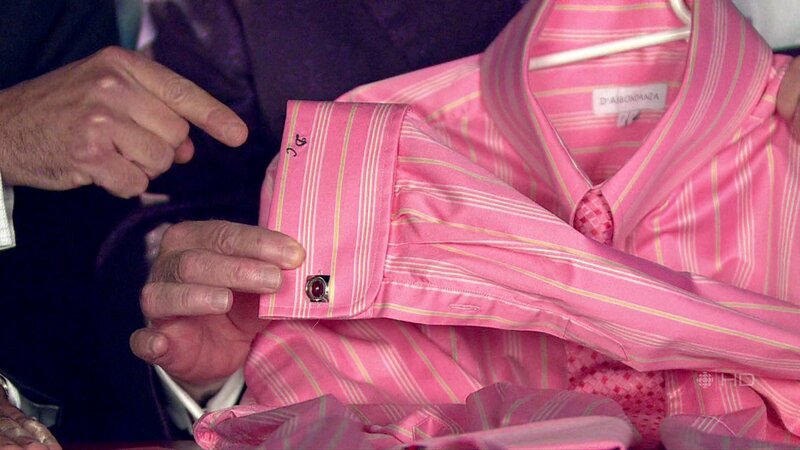 Check out these pinstripes. Greetings, all! 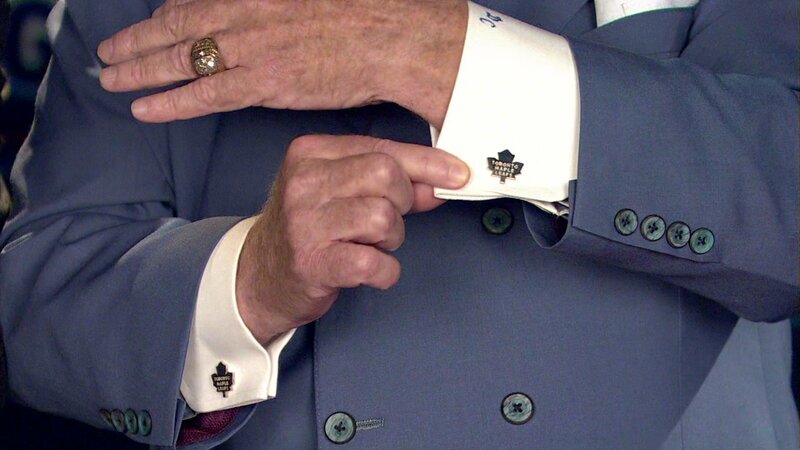 The NHL is back for another season, and so are we, ready to bring you all of Don Cherry’s sartorial novelties and monstrosities for your viewing pleasure. 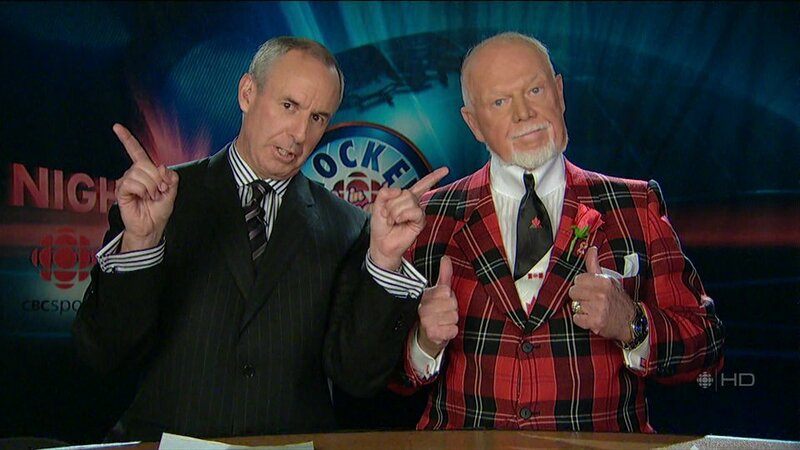 So without further ado, let’s get right to it, beginning with this plaid number and maple leaf-themed tie from the first NHL games of the season on Thursday night. Gee, I wonder which country Don pledges his undying allegiance to? 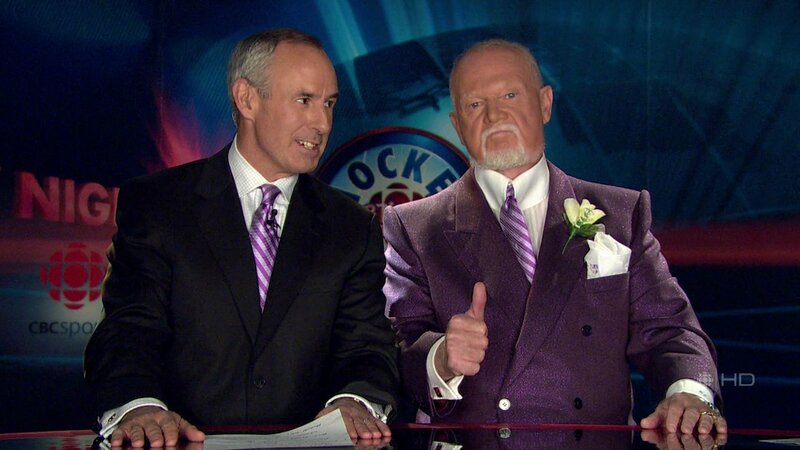 Make sure to tune in later tonight, when we’ll be back later tonight with Grapes’s outfit from the first Saturday night Coach’s Corner of the year!